A carburetor is essentially a tube that controls the air and gasoline flowing into an engine. A 2-stroke or double barrel carburetor works the same way that a basic carburetor works, except that more air and gasoline can be pushed into the engine because there are more barrels or tubes and thus, more airflow. The throttle plate or throttle valve controls the amount of air that is allowed to flow through the carburetor (the tube). As this valve opens, air flows into the carburetor and mixes with gasoline. Only a small amount of gasoline, about 10mg per combustion stroke, is needed to make a typical 4-stroke combustion engine run. The venturi is a narrowing in the tube. Within the venturi is a small hole called a "jet." 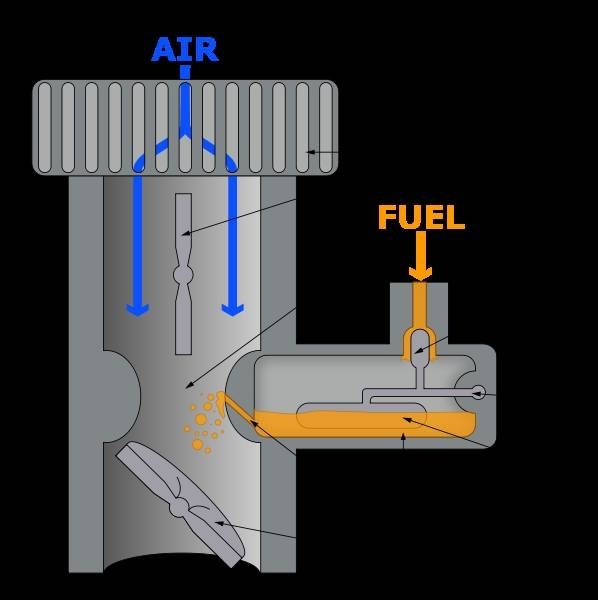 The venturi creates a vacuum that draws in gasoline from a float chamber - which is supplied from the gas tank by a fuel pump--which keeps gasoline at near atmospheric pressure. The process is actually quite simple. When the throttle plate opens, air flows into the carburetor. The venturi creates the vacuum needed to draw in the air and a small amount of gasoline (a "mist") which then mixes with the air which is then drawn further into the combustion chamber of the engine. To enhance the control of air and gasoline--fuel--a choke is used. For example, if you are trying to start a cold engine, you may have a hard time getting the air and fuel to mix properly because of certain variables inherent in the properties of gasoline and air. Specifically, cold gasoline does not vaporize as readily and tends to condense on the walls of the carburetor. To overcome this, a device called a "choke" is used. A choke restricts the flow of air at the entrance of the carburetor. 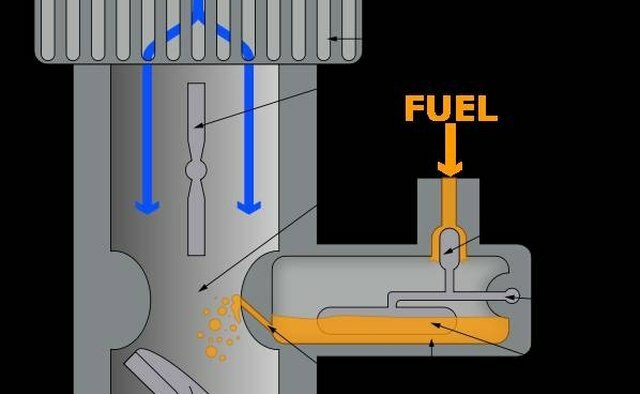 This creates a stronger vacuum which draws in less air but more gasoline to create a "rich" fuel which is easier to ignite when the engine is cold. When the engine warms up, less fuel is needed. What Is the Throttle Body Function?